On Sale Now! Free Shipping Included! 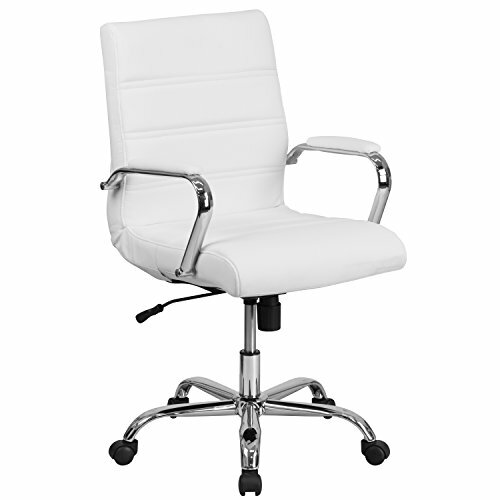 Save 9% on the Flash Furniture Mid-Back White Leather Executive Swivel Chair with Chrome Base and Arms by Flash Furniture at Momiji Studios. MPN: GO-2286M-WH-GG. Hurry! Limited time offer. Offer valid only while supplies last. Improve your workspace with this stylish Mid-Back Leather Office Chair with Chrome Arms that is highlighted with attractive horizontal stitching.